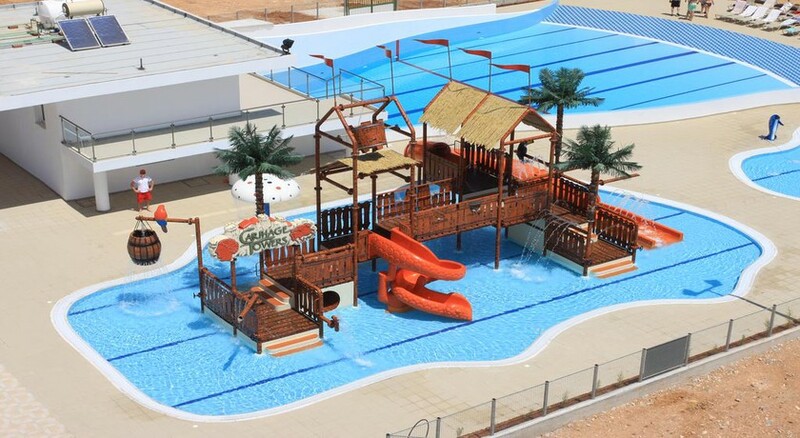 Panthea Holiday Village is a great place for a budget family holiday. The holiday village is well maintained and provides a balance between great comfort and modern conveniences for a relaxing stay on your holiday. Panthea Holiday Village offers numerous ways to relax, whether at the pool, sauna, jacuzzi or sun terrace. There’s also darts, billiards and a tennis court. It is also within easy reach of many great restaurants, nightclubs, water parks and historical attractions. Several terrific beaches with warm golden sands can be found in less than three miles from the village with the nearest on the doorstep just 150 metres away. Enjoy your room where many feature a private balcony overlooking the inspiring Mediterranean Sea. The Ayia Napa based Panthea Holiday Village is just 46km from Larnaca International Airport and a mere 150 metres from the beach. If you’re looking for thrills and spills then the two waterparks located just a couple of minutes walk away will be bound to satisfy. The National History Museum of Ayia Napa is under 1 mile from the hotel and retail therapy can be had at the Plaza Shopping Center, which is only a short walk away. A great variety of restaurants and bars can be found just within a mile’s radius. 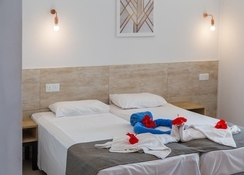 Panthea Holiday Village has a variety of rooms to suit different guests on offer. There 193 rooms here all of which come with essential amenities such as complimentary wi-fi, climate control and private balcony. A basic room is ideal if there are only two guests staying. One-bedroom rooms typically come with two single or one double bed and sleep, four guests. Family rooms are larger and more spacious, with space for up to five guests. All rooms are well decorated with carefully balanced neutral tones and complementary furniture and some feature a kitchenette so you can dine back in the comfort of your own room. The on-site restaurant brings village guests tastes of local Cypriot and Greek dishes and more familiar favourites from around the world. 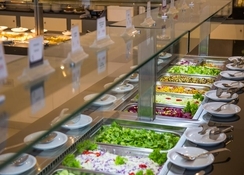 It serves lunch and dinner as well as a daily breakfast buffet. Away from the village, guests will find authentic local dishes at tavernas such as Tony’s Taverna. If you’re fancying some Italian then try Quadro Restaurant, a few minutes walk away located very close to the Ayia Napa Monument. There are no shortage of bars too if you fancy a drink and entertainment late into the night. The Square Bar, for instance, serves great drinks and features live music after 8 pm. Senior Frog’s is a popular party bar whilst Pepper Bar Lounge puts on regular theme nights with a DJ. Unwind at either the indoor or outdoor swimming pool, there is also a dedicated pool just for children or pull up a lounger and soak up that Cypriot sun. 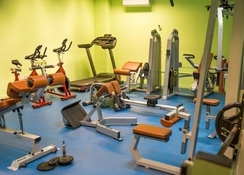 Alternatively, you may prefer to do that at the beach, which is a mere stone’s throw from Panthea Holiday Village. Other popular beaches include Nissi Beach and Makronissos Beach, both less than three miles away and worth checking out. Other attractions worth a visit include the beautiful, historical Ayia Napa Monastery and Ayia Napa Aqueduct. 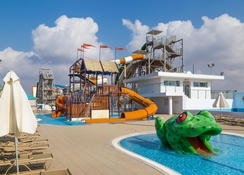 There are three waterparks located less than a five minutes walk with Ayia Napa Fun Park, particularly suitable for younger children. Those who have come for the famous nightclub will of course not be disappointed, from Blue Moon Bar to The Castle Club and River Reggae you’ll be spoilt for choice.